On Saturday January 29, 2011 My wife and I attended the the Ann Hampton Callaway and Liz Callaway sister's concert at the "Great" Annenberg Theater in Palm Springs, California. 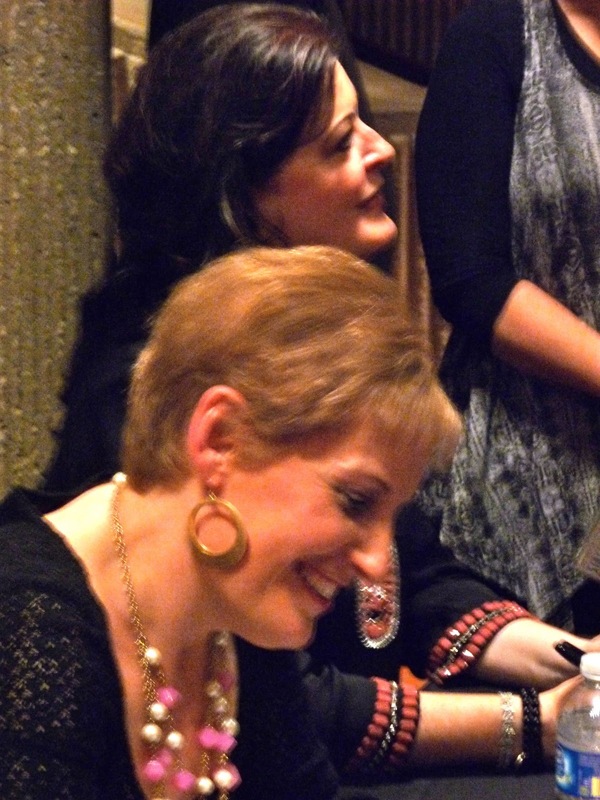 Both of these singers are personal favorites of mine, but I never had the pleasure of seeing Ann Hampton Callaway in person so I was really looking forward to seeing both sisters live at the same time on the Annenberg stage. I was not disappointed, quite frankly their performance was an emotional experience for me. It was that good! First, speaking from a man's perspective, the love and emotional bond between sisters was so much stronger than I would have imagined. This bond between these two immensely talented performers radiated and captured the audience. There was a strange familial sensation transmitted to the audience by the end of the concert. We all felt we were part of the Callaway family. At one part of the program, the sisters spoke about how different they were as kids and yet how close they were. Ann leaned over to Liz and said, "It was good, wasn't it", and then they sang, "Memories". It was beautifully sung for the audience. The audience as mesmerized and trying to hide their tears. 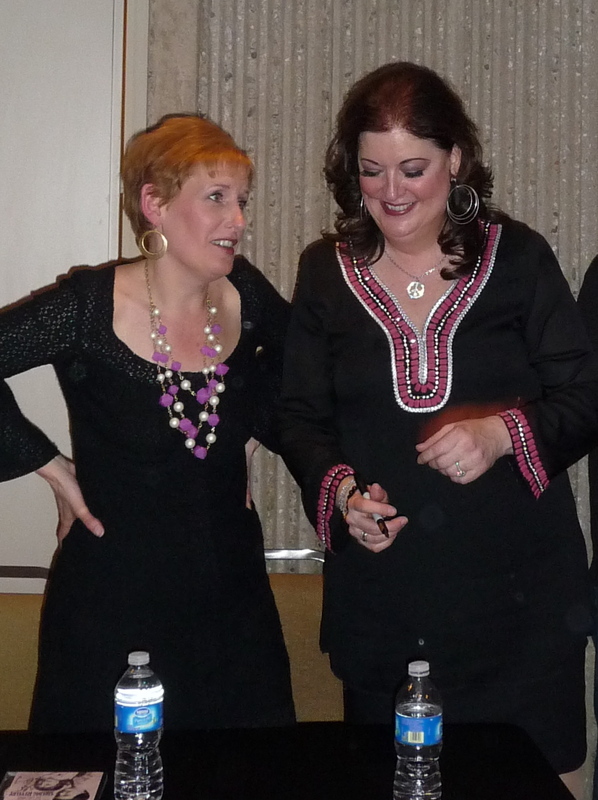 The title of this show was "Boom" and was written and produced by the Callaway sisters. The show was based on the music that both sisters listened to along with millions of baby boomers celebrating the 60's. It is near impossible to pick out my favorites from all the great songs the sisters sang, but I will mention four that personally moved me. First, Ann sang the underappreciated Joni Mitchell's classic, "A Case of You". The richness of Ann's voice and her full understanding of the meaning of the lyric produced a version of this song that could only be described as outstanding. Liz told us that there was only one album that both sisters listened to as kids, the "Tapestry" album by Carole King. Is there any baby boomer living today that did not also love the "Tapestry" album, I think not! The song they sang from this album was "You've Got A Friend". They told the audience that throughout their lives, this has been their mantra. I loved their version of the Beetles classic, "Come Together". It was nice to actually clearly hear all the words to this great song. The last song I want to mention is the great Righteous Brothers hit "You've Lost That Lovin' Feelin". There was glorious harmony between these two talented sisters. In truth, there was glorious harmony in every song which was truly soothing to the ear. Personally, this was one of the most impressive live concerts I have ever attended. If I had to use only words to describe this event the words that come to mind are "Extraordinary", "Impressive", "Moving", "Stirring" and "Emotional". And that's not just my opinion. The second the show ended, the entire sold out audience was up on their feet clapping and cheering for these two remarkable performers. If it is Tuesday night in the California desert, then there is live Jazz at the Backstreet Bistro in Palm Desert California. 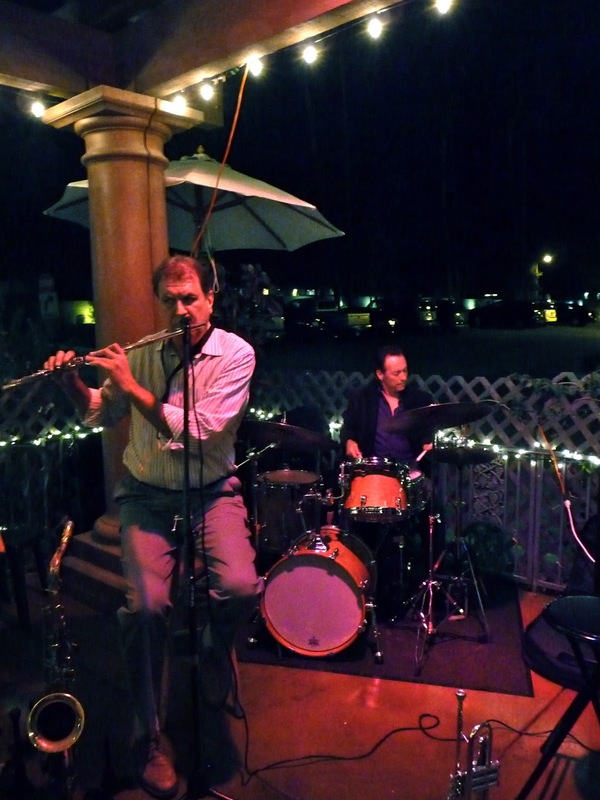 On Tuesday Jan 18 a four piece trio performed lead by the greatest trumpet player in the West, Steve Madaio. Steve is a rare and special class of musician. 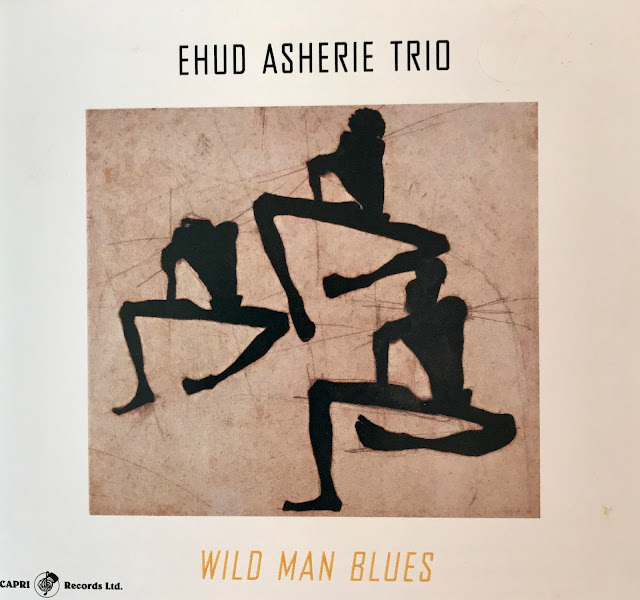 Whether he is performing ballads or standard Jazz songs, he is outstanding. One ballad I especially love is the great Bunny Berigan classic, "I Can't Get Started"that Steve played Tuesday. But in case there was any doubt, Steve is also in a class of his own playing Jazz numbers. Steve was joined by 3 superb musicians on this night of Jazz under the stars. Marty Steel's keyboard work was outstanding while performing a solo as well as his backup for the rest of the group. Jay Lewis the well- known desert drummer provided the perfect rhythm line for the evening's selections and Rod Coco completed the group's sound playing both tenor sax and flute. Two very professional singers sang several songs with the band. First, Frank DiSalvo did an excellent job singing a couple of "Sinatra" classic songs. Frank is currently performing a Sinatra Tribute Show in Indian Wells. Then the audience was treated to the wonderful voice of Laura Hagen. I have heard Laura sit in with other groups before and its always a treat to hear her sing. One reason the California desert is so popular is because of "live music" and great musicians are appearing in almost every restaurant. Backstreet Restaurant is one of the strongest supportors of live jazz receive much great customer support because of its "live Jazz" events. 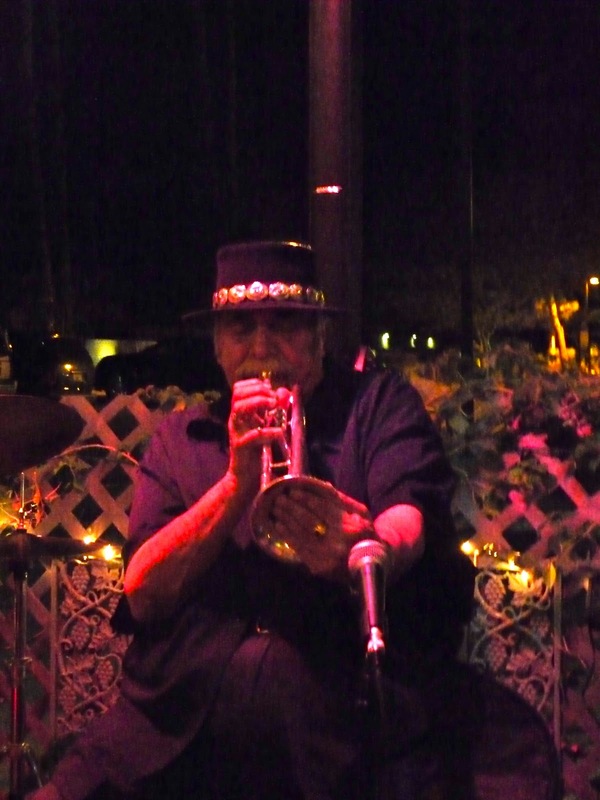 Steve Madaio will be appearing at Backstreet Restaurant every third Tuesday of the Month and you can also catch his act at the Blue Ember restaurant in the Marriott Las Palmas in Palm Desert every Sunday starting at 5:00 pm. The last time I saw Jack Jones perform live was in 1965 in Vegas; that's 46 years ago. At that time, I thought Jack Jones was an excellent young singer of popular songs. Over the years, I sort of lost contact with Jack's work until last year when I came across some CDs that Jack had done. I really was surprised by how great he sounded. I finally had the chance to see Jack in person again on Friday evening January 14, 2011 at The McCallum Theatre in Palm Desert, California. Jack sang with a 5 piece group led by the brilliant musician Mike Renzi on piano. As it turned out, most of the evening's performances were a showcase for Jack's marvelous voice and phrasing and Renzi's outstanding piano backup. In addition to Mike Renzi, Jack also had his old friend and musical director Vinny Falcon playing piano. If you are a Sinatra fan, you probably know that Vinny Falcon was Sinatra's musical director up until Sinatra's death. The audience froze when Jack inadvertently tripped. That's when Jack showed what a consummate professional he is. He picked himself up, made light and continued singing without missing a note. A remarkable recovery for anyone but especially for a performer celebrating his 73 birthday. Jack sang a program of songs from the "Great American Songbook". I thought his interpretation of the Brian Wilson song "God Only Knows What I'd Be Without You" was brilliant. He also did a great job on his version of the David Gates song "If A Picture Paints a 1000 Words" and also the Rod McKuen gem "If You Go Away". Jack Jones even at 73 has remarkable breath control and voice range. He sang some complex songs tonight, and he did not miss one note. While I am sorry that I did not stay up with Jack's career over the years, I am so thankful that I got to hear his work on his CDs and finally got a chance to see and hear him perform in person again. 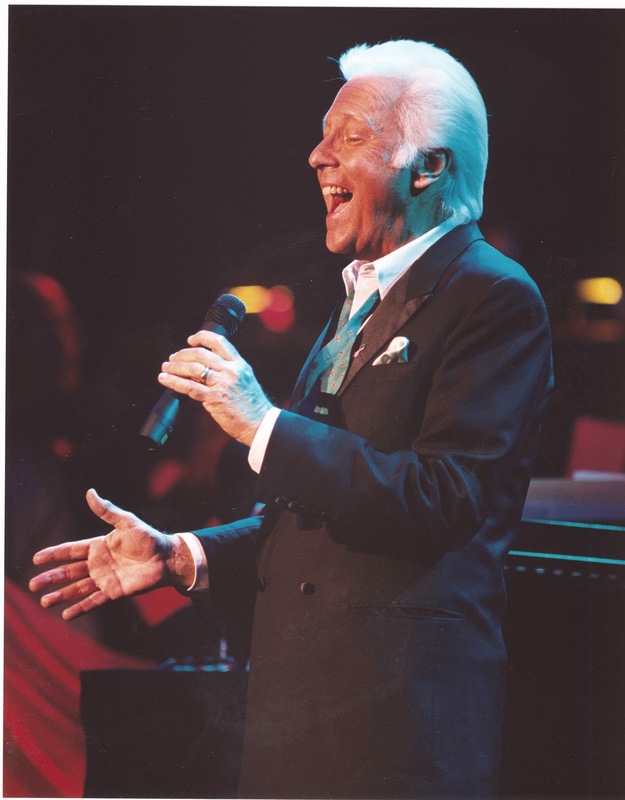 Jack Jones is truly one of the greatest singers of the "Great American Songbook". True to his professionalism, he performed for over 2 hours to a delighted and appreciative audience. It's been 13 years since Frank Sinatra died and he continues to be known and remembered by millions of people across the globe. His music is still very popular as witnessed by TV re-runs of his music shows. Sinatra even has his own radio station on XM radio called Seriously Sinatra that has a strong following of his fans who now can hear their favorite Sinatra songs all day and night if it pleases them. And his music still sells well today! This new book written by James Kaplan covers Sinatra's life from 1915 to 1954. I understand that it's the author's intention to write a second book covering the balance of Sinatra's life from 1954 until 1998. As a Sinatra fan, I had much interest in reading this period of Sinatra's life especially since I have read most of the other major biographies on Sinatra's life. To get right to the point, if you are a Sinatra fan, you will enjoy this book. That said, I did not find a lot of new stuff in this book, mostly a rehash of the stories and information I already knew. But I do think the chapters on Frank's early years did provide a better understanding of what would become the Sinatra personalities. Yes, I think most of us know that Sinatra had many personalities, like "the good, the bad and the ugly". Like many of the world's great artists, you have to judge their talent and art separate from the personality from their art. 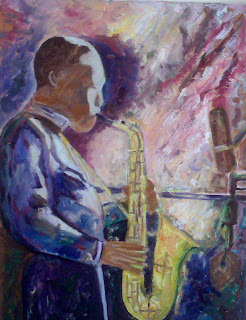 Sinatra like most great artists was possessed by his art. This can be clearly seen when reading about his early life and career. Sinatra was convinced he not going to be just another singer. Sinatra lived inside his music and its lyrics. Kaplan shares the story of how before Sinatra would sing a new song, he would print out the lyrics and spend the next couple of weeks reading the lyrics as if he was reading a poetry. He wanted to know precisely what the writer was trying to say. Only after fully understanding the lyric would Sinatra work with the orchestra to record the song. The result of this approach produced recordings that make audiences feel that Sinatra was always singing about his own life experiences. It's clear that Frank's personality and character was frequently ugly, to say the least. However, this is a statement that would fit many of the most gifted artists in our history. In order to love Sinatra you need to just focus on his music which became the best popular music ever recorded in the world.